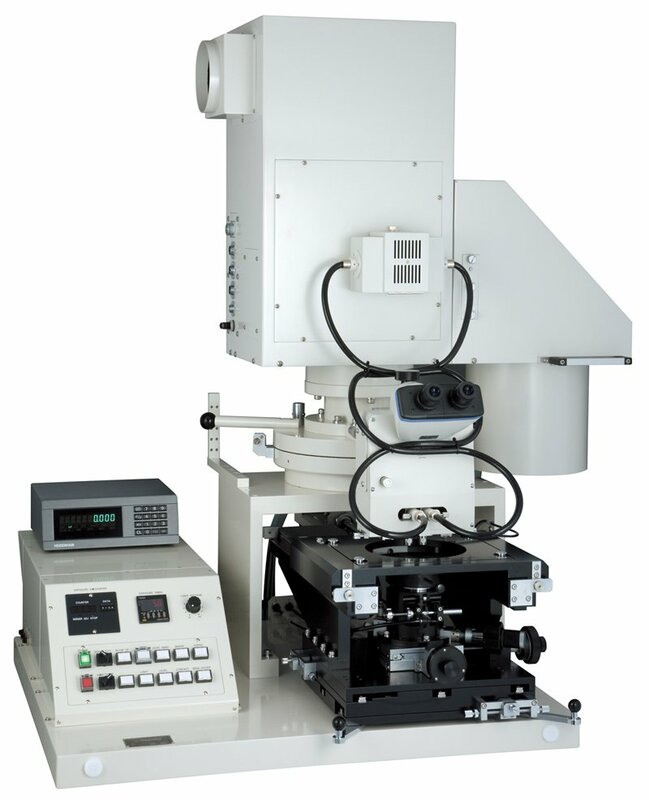 Photolithography.com offers spin coaters, mask aligners, developing equipment, and etching equipment for laboratory applications. ■ Manual contact mask aligners. 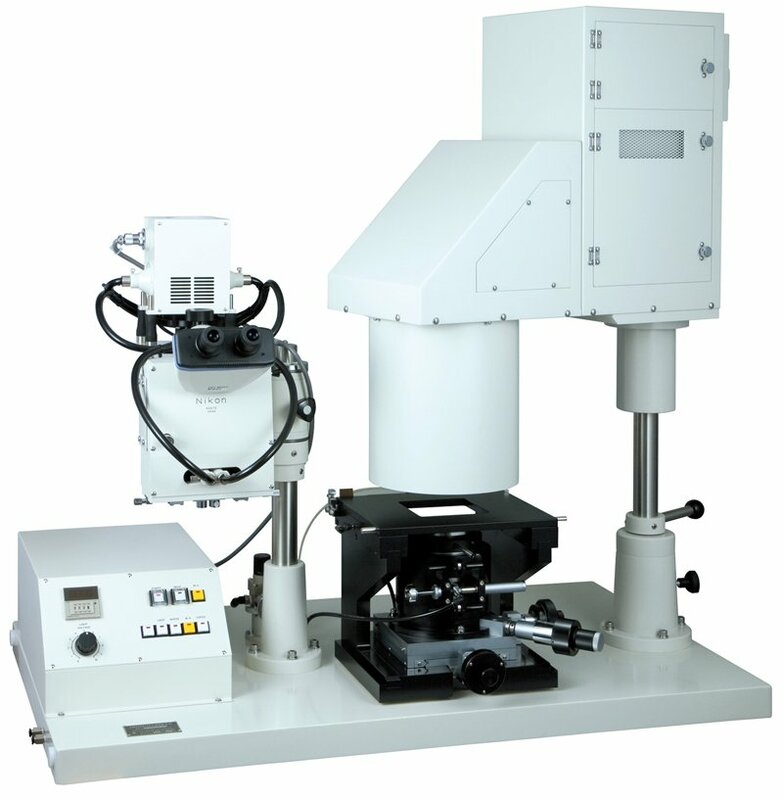 ■ Can handle silicon, glass, chemical compound, film, and various other materials as well as irregularly-sized substrates. 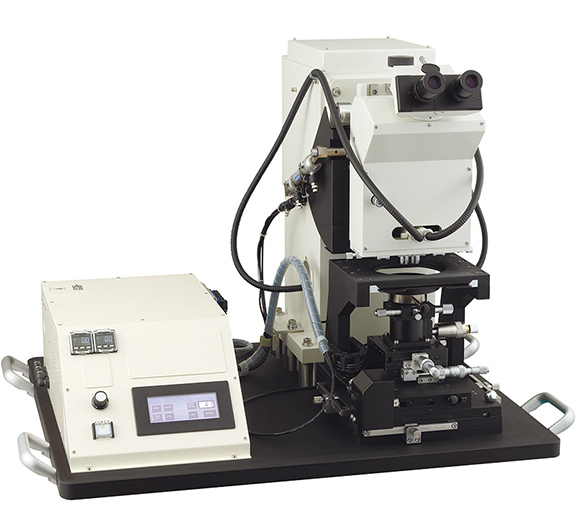 ■ Three types of exposure sources—collimator, multi-mirror, and integrator—are available to suit your budget and applications. 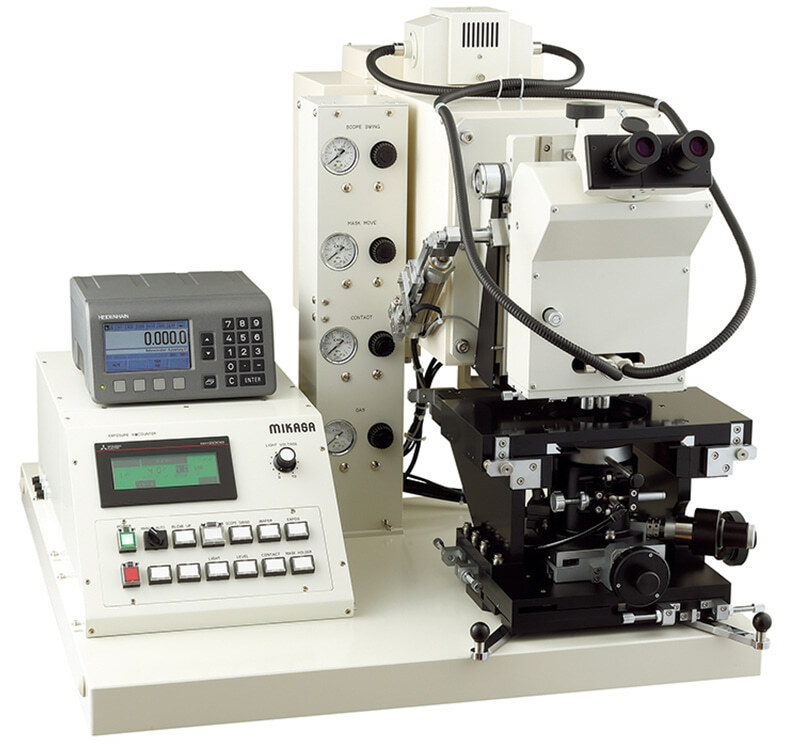 ■ Models are available that can handle substrates 5 × 5 mm to 100 × 100 mm in size and up to 6 inches in diameter. 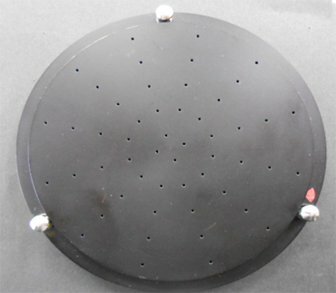 ■ Easily replaceable mask holders and sample stages make the aligners ideal for research and development. 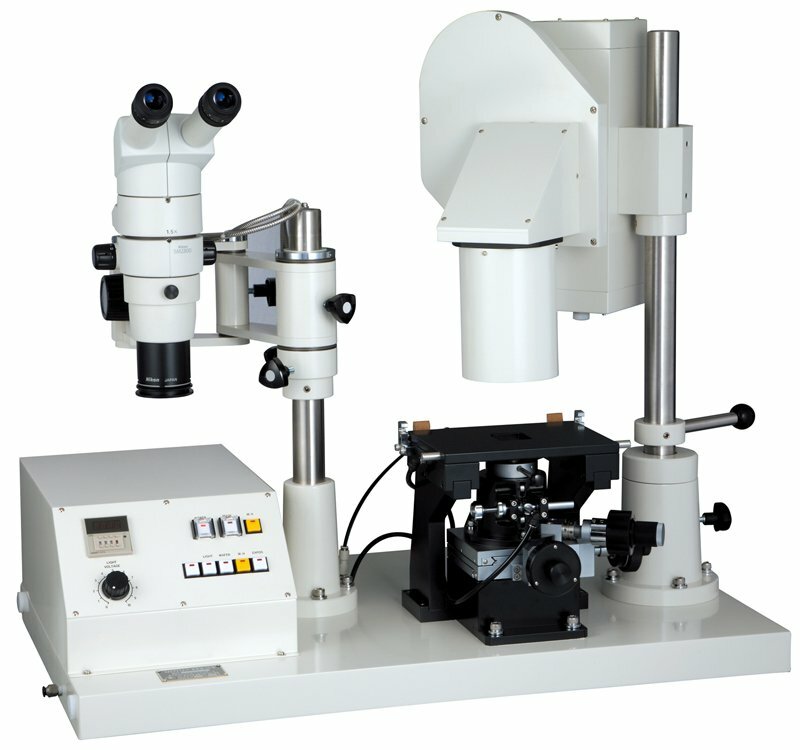 ■ Objective lenses for the alignment scope come in two magnifications (10× 20×) for accurate alignment, coating thickness measurement, and other applications. ■ Gap settings are configured physically using pins. 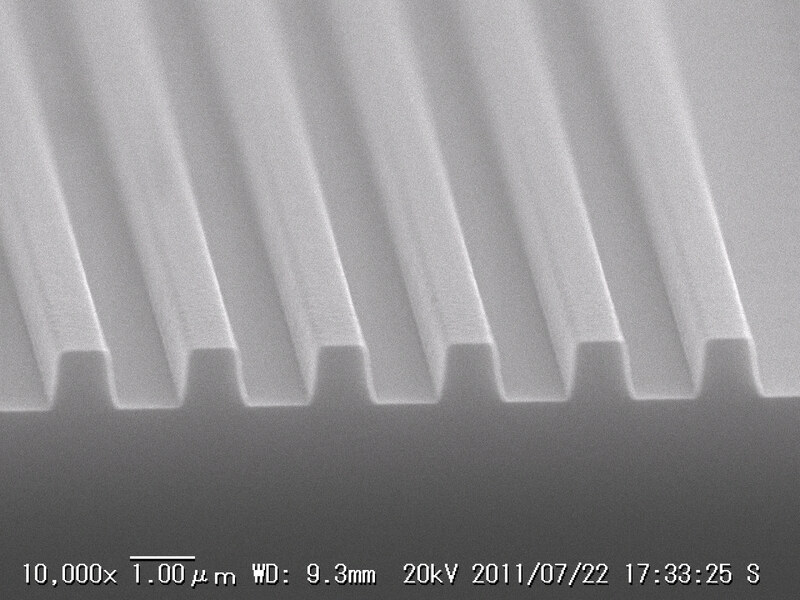 ・Gap can be customized between 10 and 200 μm. 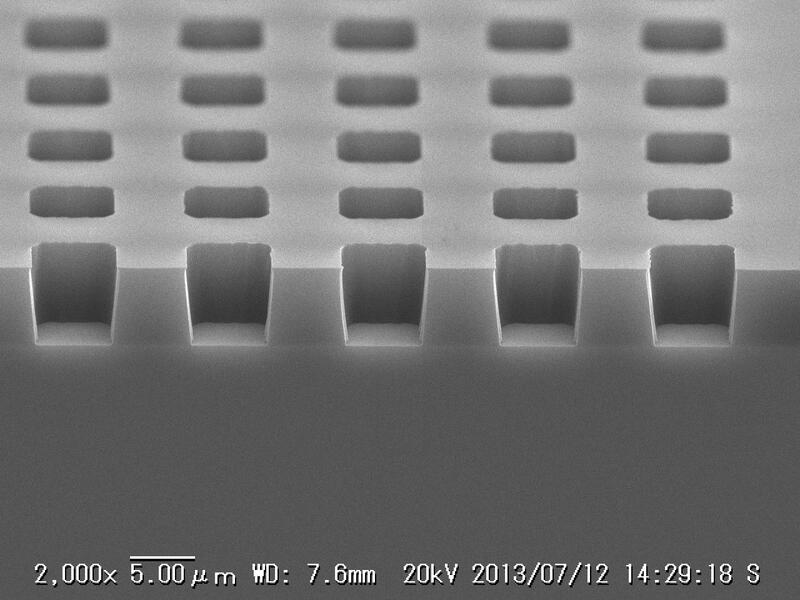 ・The pins are accurate within ±5 μm. 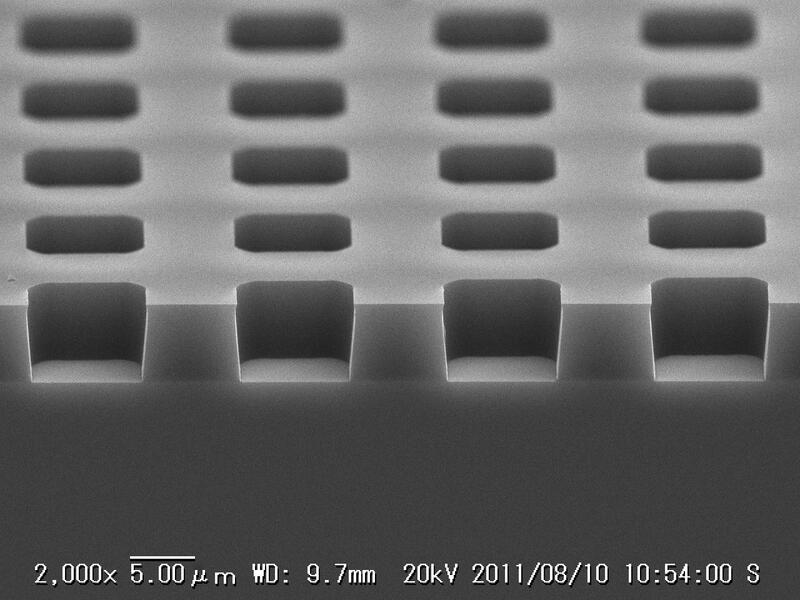 ・It can be set at intervals of 10 μm." ■ Ideal for exposure that requires no contact with the mask. 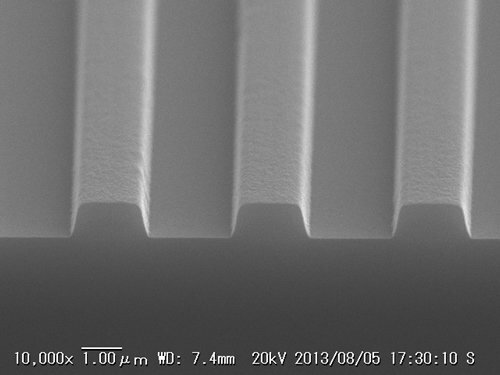 ・Various SEM images of SU-8 obtained through experiments are available. ■ Can be added to your existing system. Resist: SU-8, with a coating thickness of 50 μm. 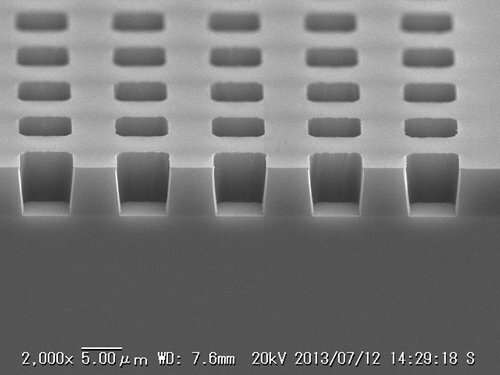 A high-pass filter is used.